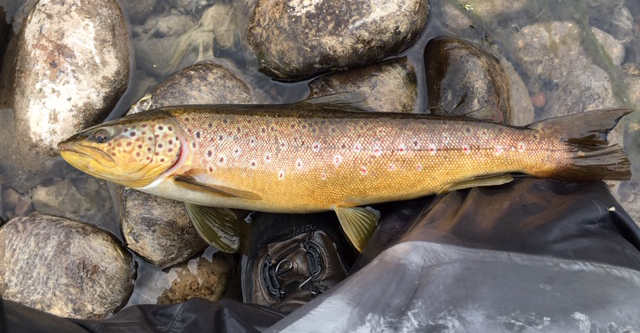 Learn To Fly Fish For Wild Brown Trout In The Highlands of Scotland! Catching a Wild Brown Trout from a secluded hill loch or Highland river or stream is a fantastic experience! Your guide will teach you the basics of fly fishing including how to tie knots, which flies to use and of course how to cast a fly rod and line into the best spots for a chance of catching a !wild broonie”! The fish in our Highland lochs are all wild, so are beautiful fish and due to the natural feeding are in spectacular condition! Fish can average from half a pound but fish to 6lb plus do get caught.